Tanager Park is not your typical town of the American Midwest, and everyone knows it. Hundreds of fantastic stories, experiences of the town residents, draw throngs of tourists and the top paranormal researchers from around the globe. The legends of the town even hold sway over the local government. Eleven-year-old Ru Hadley has lived in Tanager Park all her life, but has yet to glimpse any of the town's strange phenomena. Fascinated by the legends but rooted by her pessimistic brother and her own doubts, she spends day after day searching for answers. Then, one stormy morning brings a taste of the unearthly. Suddenly, the legends are no longer just stories for Ru and her friends, and not what anyone expected the truth to be. Together, they must save Earth and the rest of the galaxy from a threat unknown to even the highest of the authorities on the planet - with a power that may be, unfortunately, unbelieveable. Edit - New cover June 9 2008. Let me say this----wowww!! Definetly better than mine. Of course I only use gel pen.-lol. 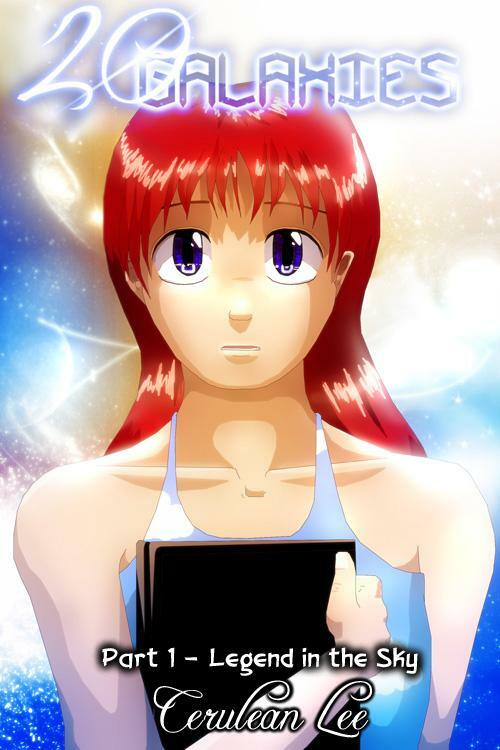 Ever consider making your own anime toon? superb beginning! superb drawing & coloring! Yeah, it's smart to update on page at a time so new readers don't have to much to read at once. Uh, you got the cover backwards... I kid, I kid! :D Welcome back! Hey, it's a good idea to put up one page at a time... I might try that myself with Pinky TA.